Redevelopment projects erode city's famous architectural variety, reports Zhang Yuchen in Harbin. In 2006, Herman Smushkovich still held the key to the front gate of his family's home in Harbin, even though he had moved away about 50 years earlier. Tears filled his eyes when a friend from China told him the key would never again open the door. The house was gone. Smushkovich was born in Harbin in 1926 to a couple who had come to Northeast China from Latvia. He was among the second generation of 25,000 Jews who emigrated from Europe, the Middle East and Russia in the late 19th and early 20th centuries. The houses they built were modern buildings for the time and reflected the areas they had come from. 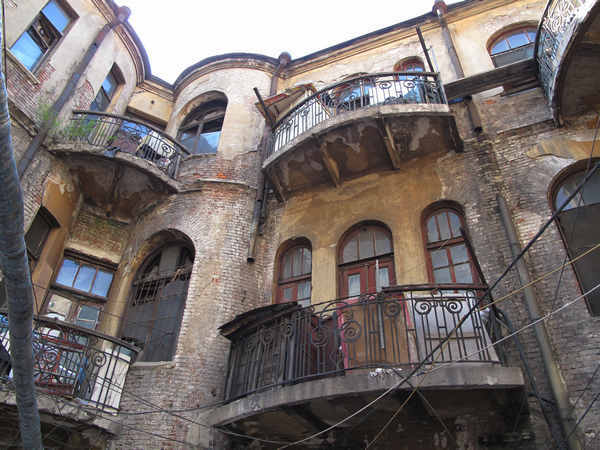 But when the immigrants moved away or died, the old buildings drifted into disrepair and Harbin began to lose its key characteristic as a city flavored by diverse architectural styles. In 2000, the city embarked on massive renewal programs to eliminate substandard housing, correct a weak infrastructure, overcome years of limited maintenance and renew the commercial potential of the old city center, according to Gai Ruyin, Party secretary of Harbin. Speaking in April at a conference to promote key renewal projects in the provincial capital, Gai said that helping residents is part of the municipal government's intent through efforts such as the Chinese Baroque program, which began in 2007. 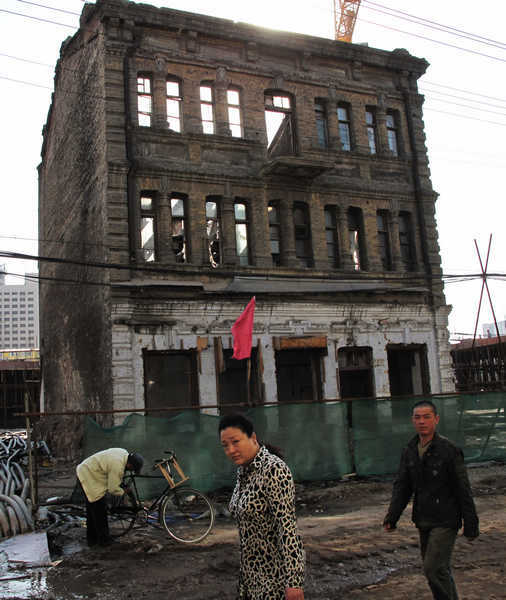 It is one of six demonstration projects in Harbin that include demolition of dilapidated buildings. An additional 35 projects have begun in Harbin this year, the Heilongjiang Daily reported last month. According to Harbin's urban plan for 2004-20, the city aims to develop new areas while transforming old ones to improve the quality of life for its nearly 4 million residents. Many of the old buildings in the Chinese Baroque area were described as in poor condition and crowded, usually shared by several families. Some residents and cultural experts complain that the renewal project has devastated the community's cultural atmosphere and valuable heritage. One of them is Zeng Yizhi, a retired editor for Heilongjiang Daily who broke the news to Smushkovich and related his story to China Daily. Several historic buildings were pulled down in the first phase of the Chinese Baroque project and the range of protection shrank from 12 blocks to 10 in Phase 2, Zeng said. "That's not what the original plan said in the beginning." Zeng, 57, is a member of the cultural heritage committee who was invited to evaluate the possibilities of the protection program plan before it started. Liu Yuncai, director of the Harbin Cultural Heritage Bureau, said nearly 70 buildings in the area bordered by Nanxun, Nansi, Jingyu and Jingyang streets - where businessmen from Russia, China, Japan and other countries once lived - were left with only the front walls standing. "Most of the houses in the community . . . included in the Chinese Baroque programs are not the key heritages listed on the municipal government's protection plan," said Ma Jingming, director of the Historical City Protection Department in Harbin's Urban and Rural Planning Bureau. "We keep the walls, which are more valuable, to study and research in the future." Besides, Ma said, the houses along three 100-year-old lanes in the historical protection area are "too old to be lived in." The front walls were not retained there. The heritage committee that reviewed the plan submitted its suggestions, but Zeng and Liu said no experts were invited to oversee the demolition. Zeng said she did watch, however, as building were razed.